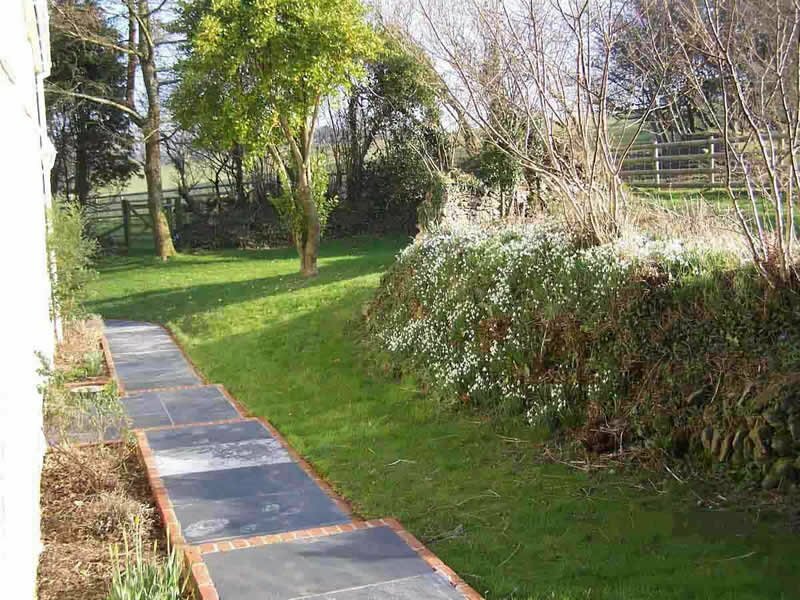 We create beautiful paths that lead you through your garden around your house and to your door as well as patio areas where you can have a barbecue with friends or simply relax in the sunshine. We can also create sympathetically designed flower borders that add colour to the garden. 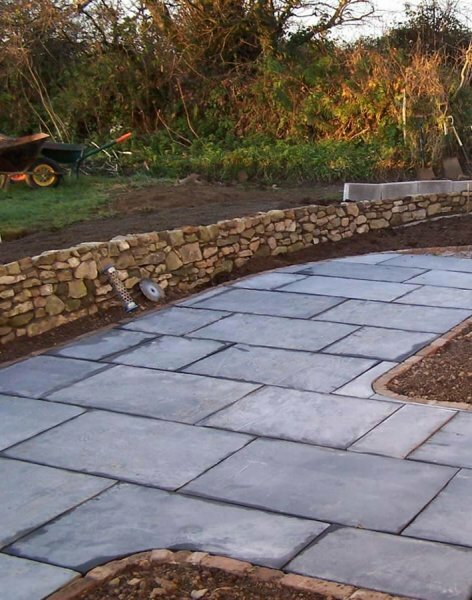 When we are finishing a building project, clients often ask us about creating paths patios and flowerbeds around the house so in view of this we now offer this service to all our customers. 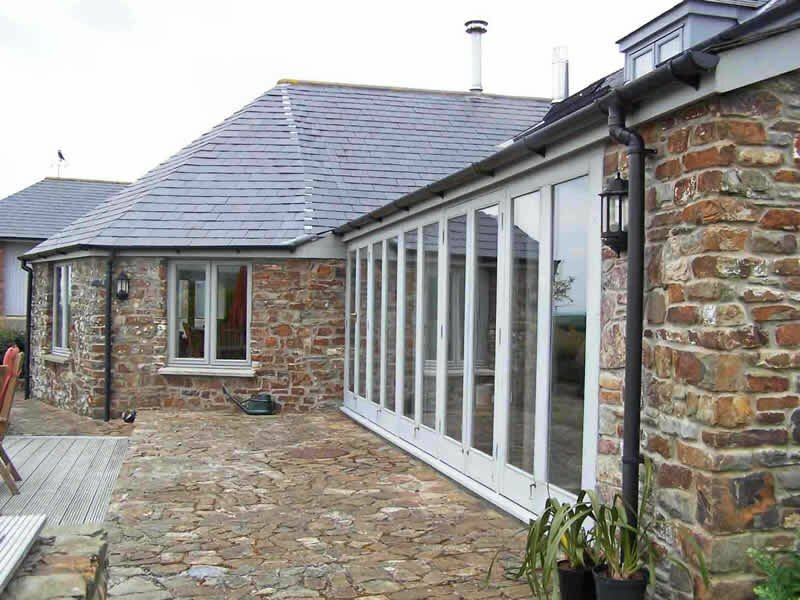 Slate, brick and stone are always a popular choice for both traditional properties and modern contemporary buildings offering a hard standing that not only looks beautiful and will complement your home, but will last for many years. 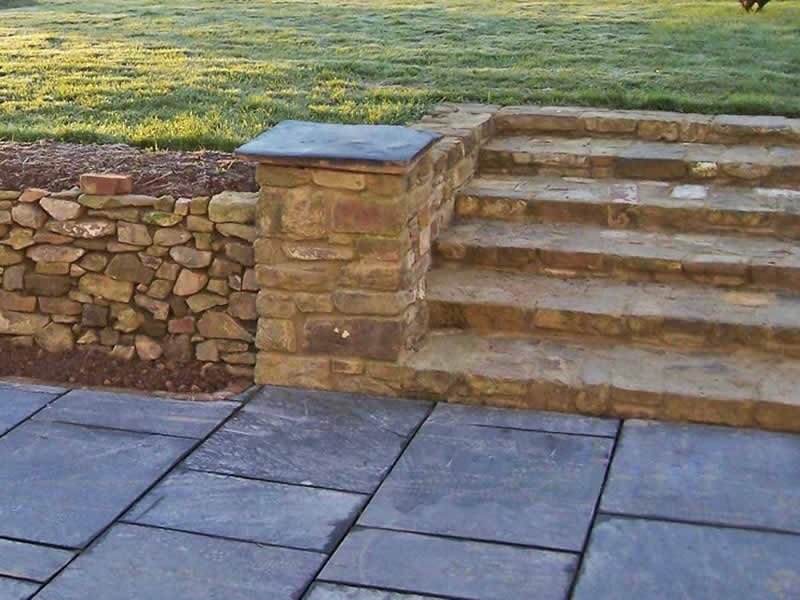 Paths and steps are an essential part of any garden allowing easy, clean access. 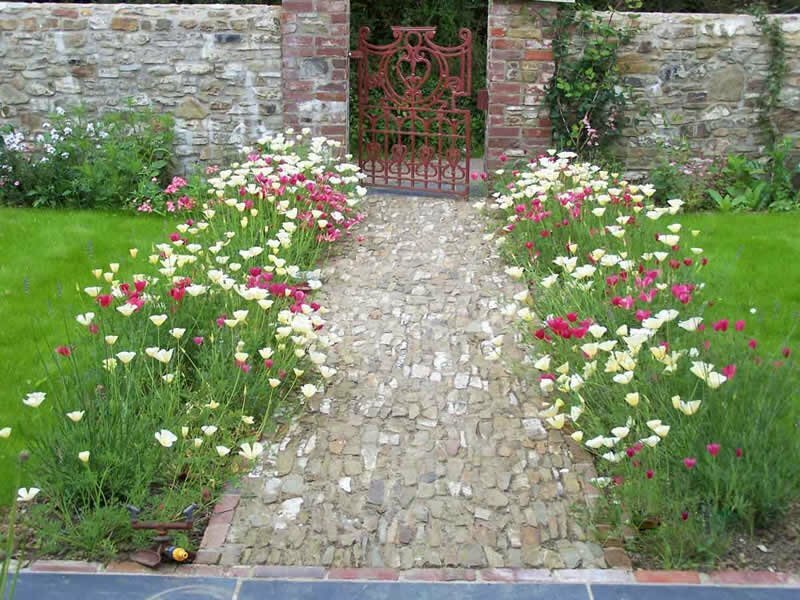 But more than that, a well-laid beautiful path can really enhance your home and lead the eye to any chosen focal point. As well as building new paths we can renovate existing paths and repair old cobbling. A patio extends your living space into the garden and is an ideal place to set out your garden furniture creating an area that can be used day or night. The patio can be any shape or size and can be of a simple design in one material or in complex patterns using a combination of materials. 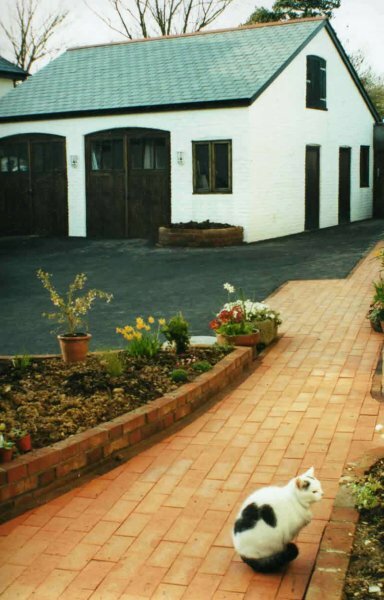 Although we can brick-pave drives, we tend to use tarmac for the main area as it is hard-wearing, long-lasting and easy to keep clean, yet will fade down to a soft blue/grey which harmonises with natural surroundings. 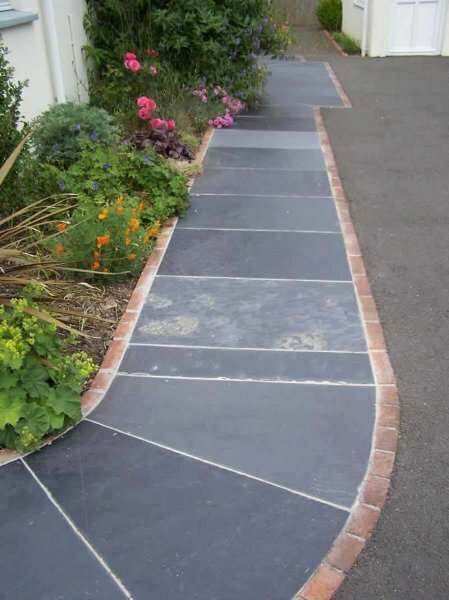 We do incorporate slate and brick into driveways to delineate paths and edgings. We are always happy to discuss any ideas you may have for driveway surfaces. Simple brick, stone or slate-edged flower borders around the house either raised or level with the path are easily maintainable spaces to fill with shrubs and flowers that will add year-round beauty to your garden. 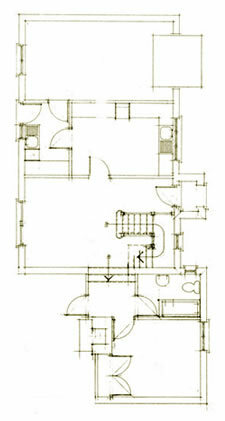 We are happy to help clients with ideas and to give advice on simple planting plans. 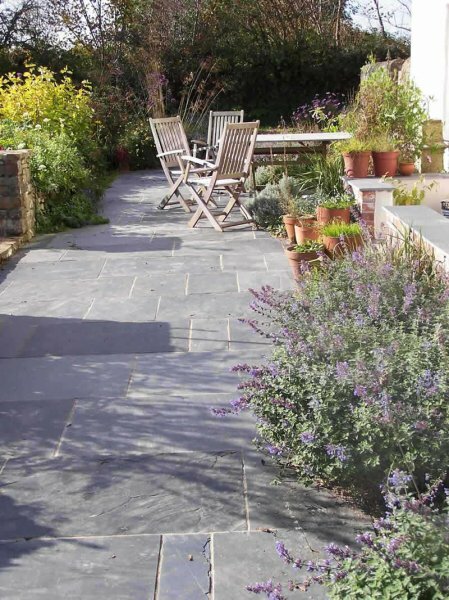 Incorporating paths, patios, steps and flower borders around the house will make your home flow seamlessly into your garden and enhance the enjoyment and beauty of your location.